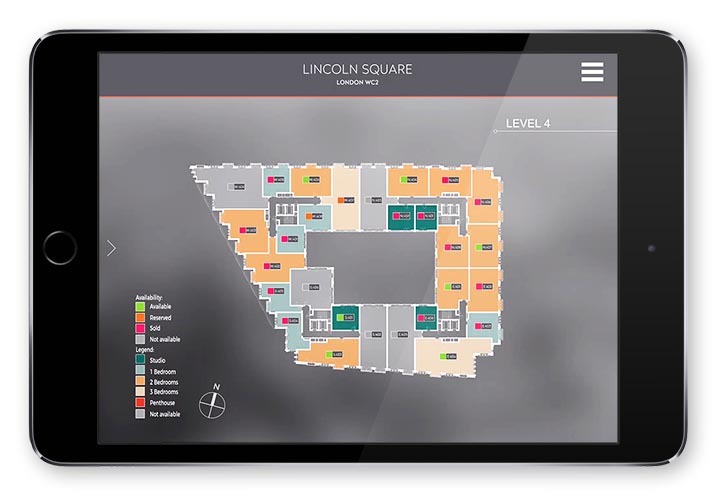 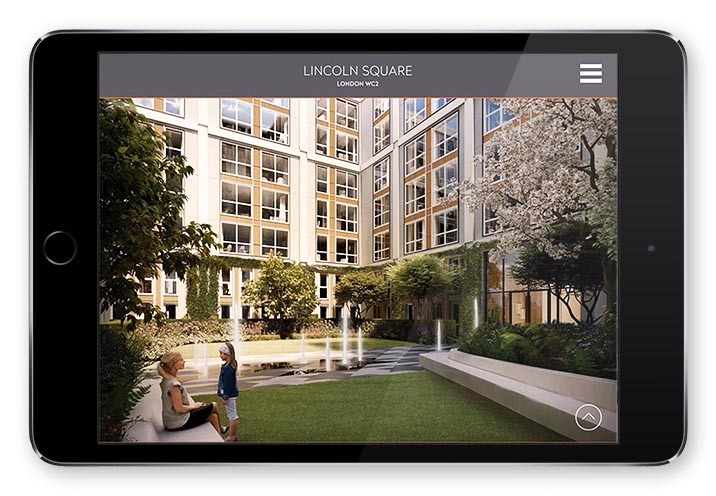 The standalone marketing App for Lodha’s Lincoln Square development is a unique selling tool. 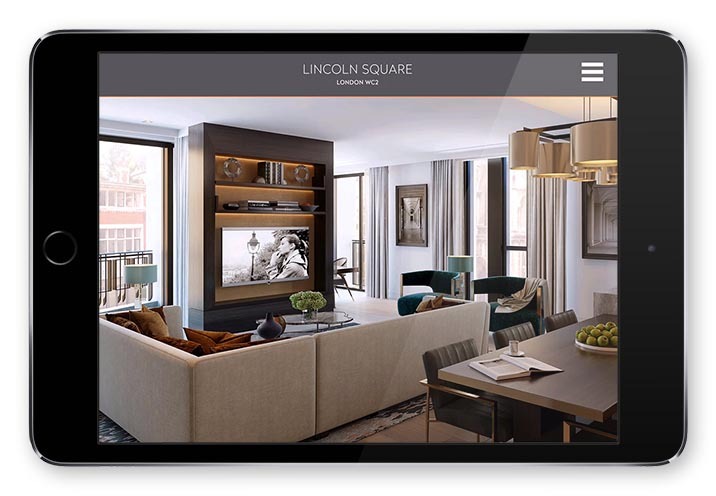 Designed to showcase this outstanding residential apartment complex, the app features a wealth of easily accessible information. 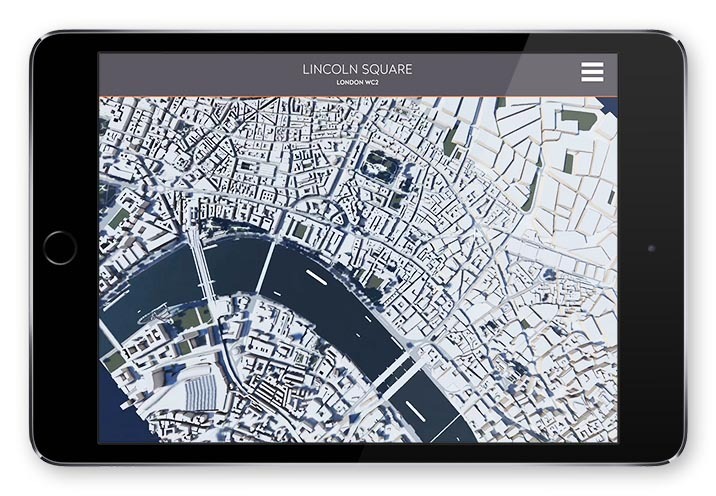 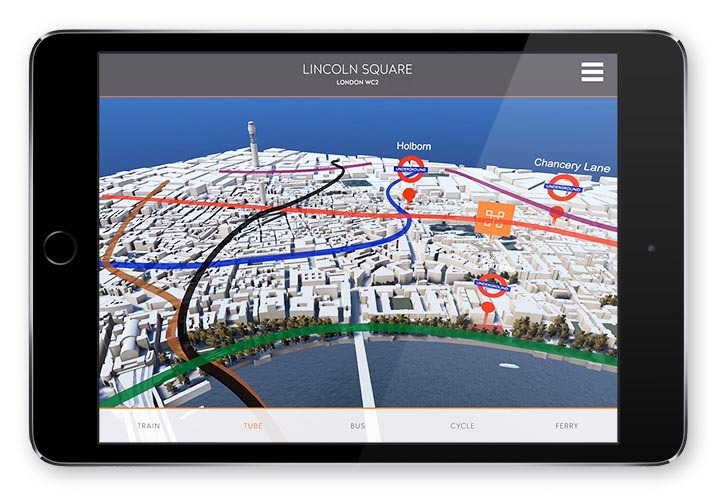 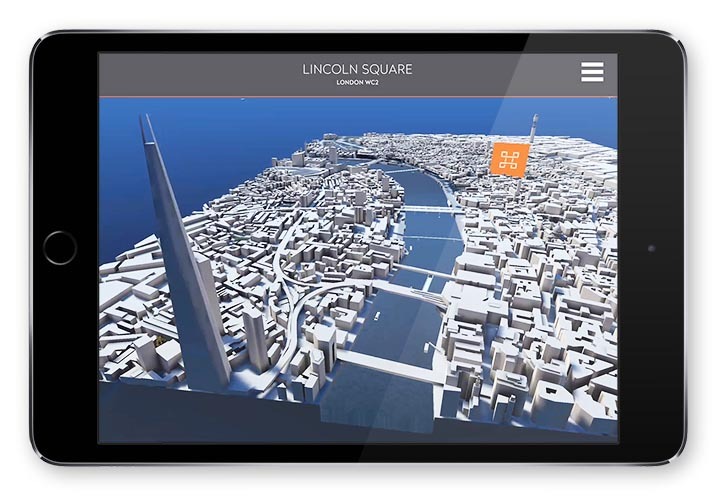 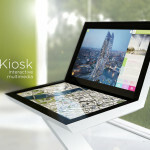 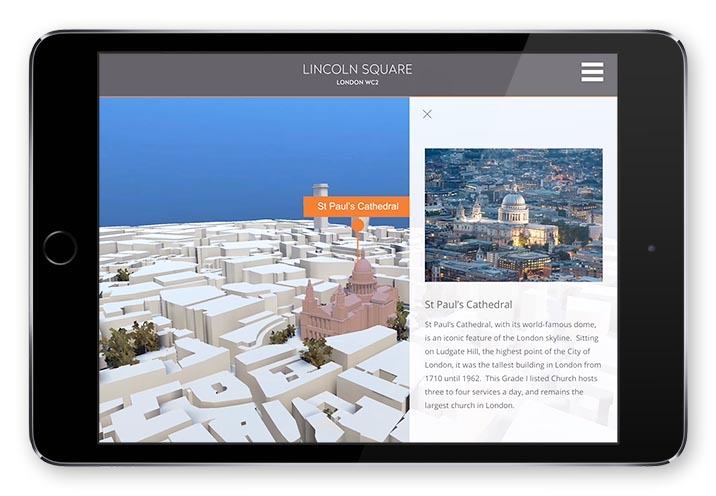 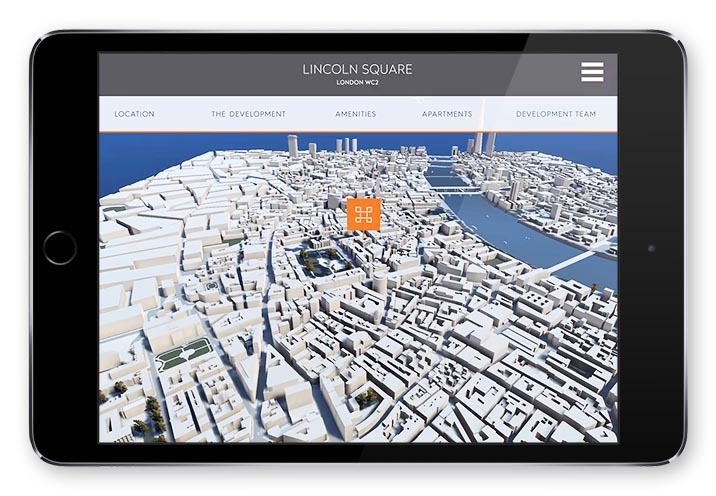 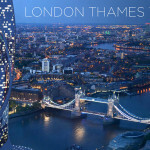 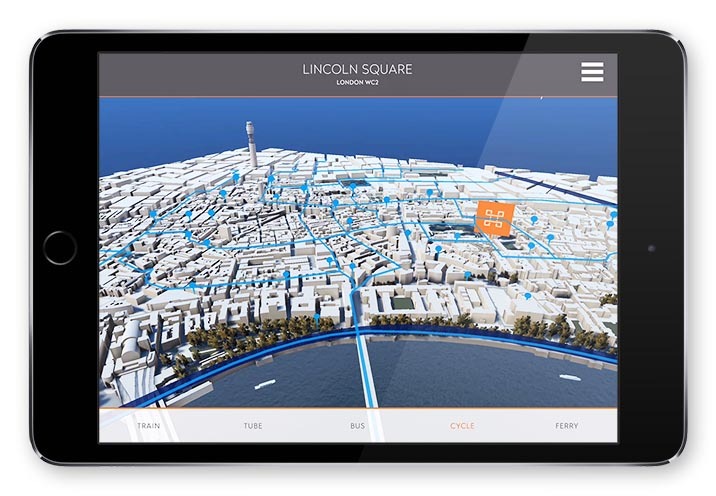 For potential investors not familiar with the city, the app includes an interactive 3D Model of central London. 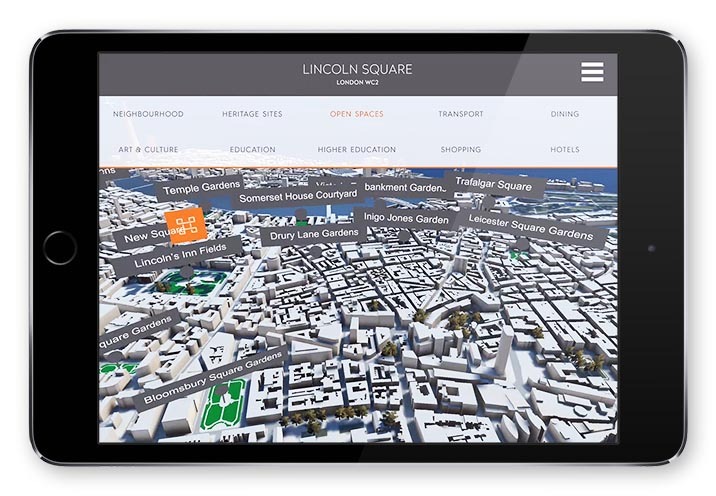 Providing multiple urban analyses of the area surrounding Lincoln Square, all the key transport links, educational establishments, and heritage sites are featured. 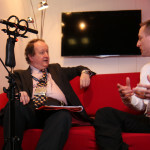 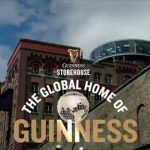 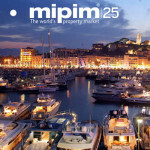 In addition, key lifestyle locations are highlighted, including shopping, dining, cultural and open spaces. 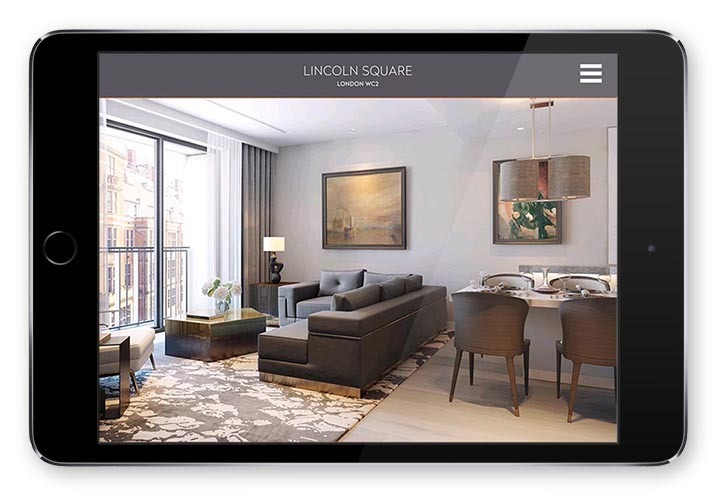 The gallery section of the App includes internal and external views of the development, as well as images of the unrivalled amenities Lincoln Square offers. 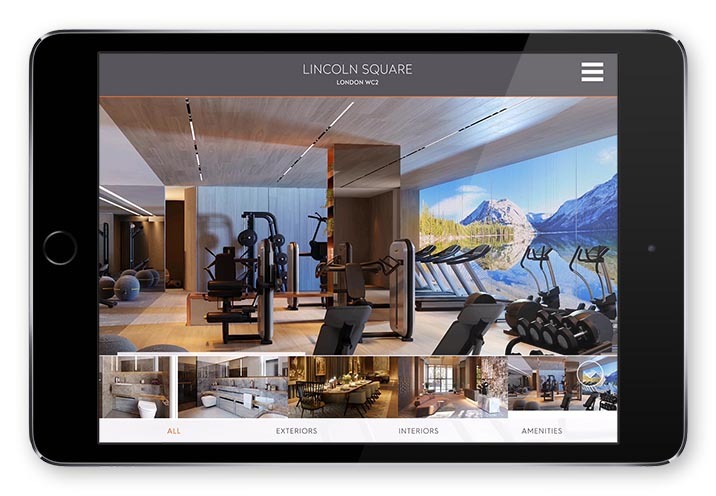 An interactive plan of the amenities highlights some of the key facilities that residents can enjoy, including the pool, gymnasium, library and cinema. 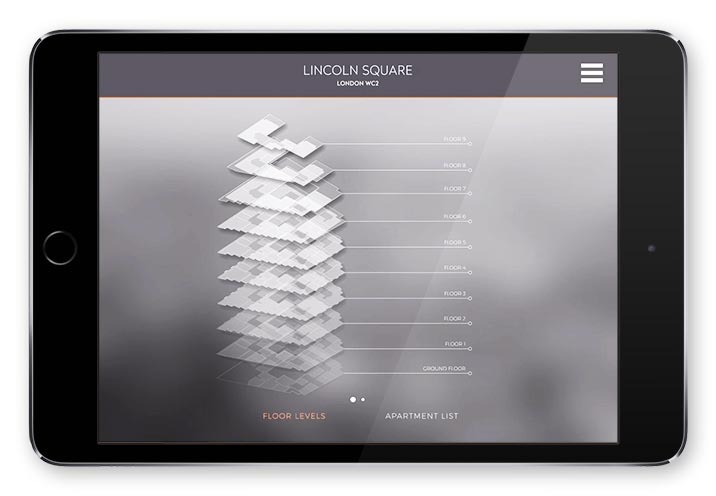 Detailed information for potential investors, together with background information on the Lodha Development team, is also contained in the interactive app. 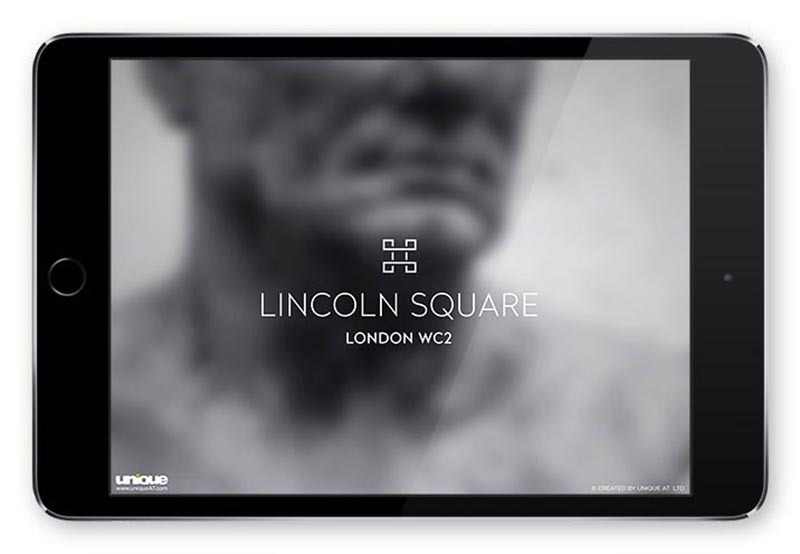 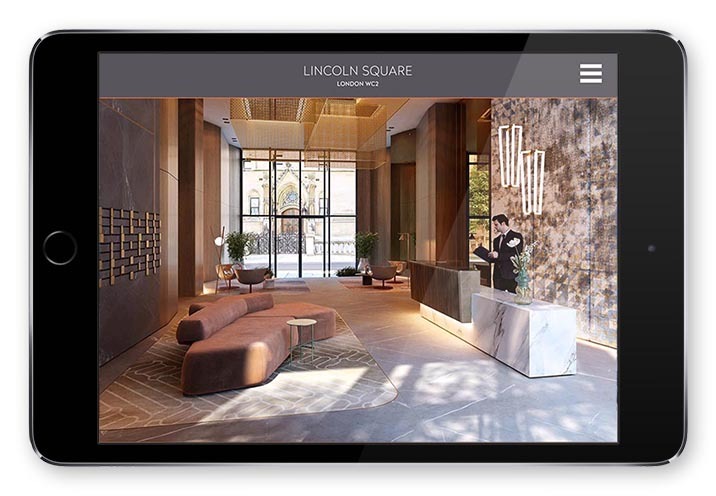 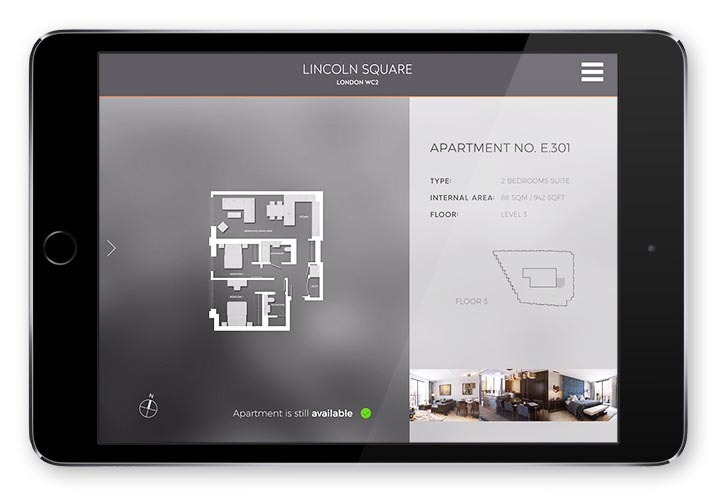 The Lincoln Square App, created by uniqueAT, is a key marketing tool for Lodha’s real estate agents throughout the world. 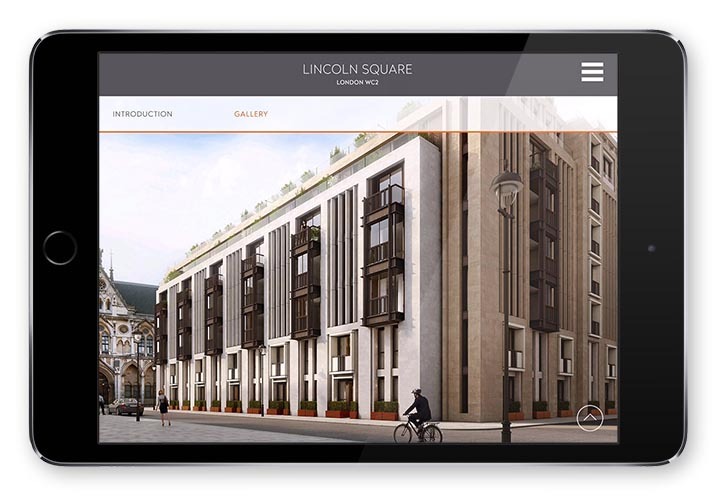 It showcases this prestigious residential development, all from a portable handheld tablet device. 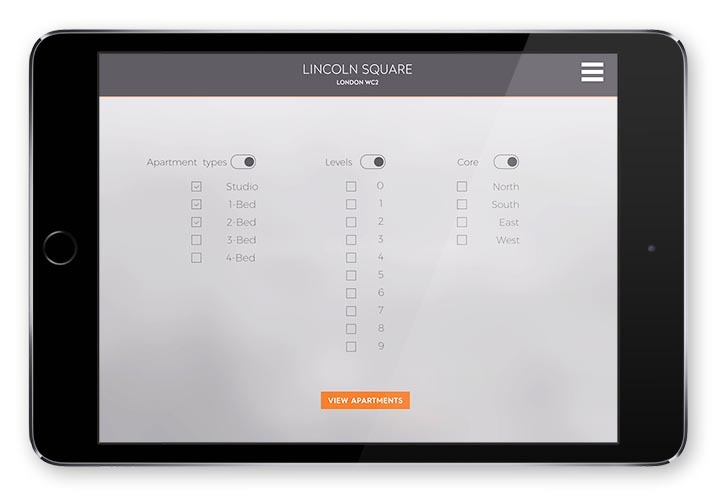 Our unique Apartment Finder system is a powerful tool built into the app. 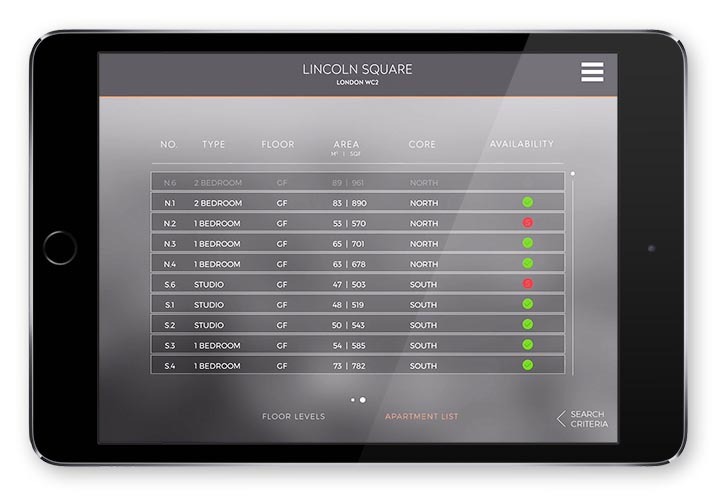 This module enables a potential investor to search for a suitable unit, either by choosing from multiple search criteria, or simply by searching by floor level.